Whether it’s earrings, homework, or love notes, Tillie “Lost and Found” Green and her camera can find any lost thing—until a search for a missing person forces her to step out from behind the lens. Ever since a car accident left Tillie Green with lasting painful injuries, she's hidden behind her camera. She watches her family and classmates through the lens, tracking down misplaced items and spotting the small details that tell a much bigger story than people usually see. But she isn’t prepared for class clown Jake Hausmann’s request: to find his father. In a matter of days, Tillie goes from silent observer to one half of a detective duo, searching for clues to the mystery of Jake’s dad’s disappearance. 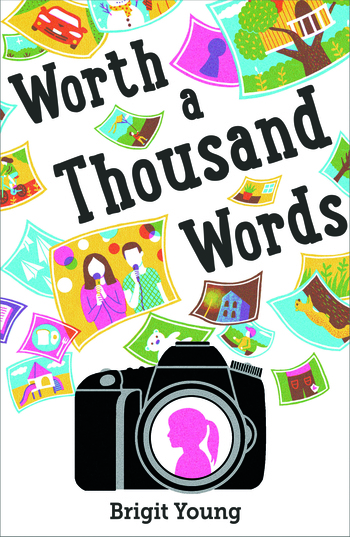 When the truth isn’t what Jake wants it to be, and the photographs start exposing people’s secrets, Tillie has to decide what—and who—is truly important to her. Worth a Thousand Words is the debut book by Brigit Young. Brigit Young lives in NYC with her husband and daughter. Worth a Thousand Words is her first book.